Phone service from Ntera is a priceless tool for your home or business. A reliable, clear connection along with unlimited local calling, numerous calling features, and long distance allows you to keep your peace of mind knowing your calls will always go through. When you bundle your Voice service with Fiber-Fast Internet and/or Fiber-TV services, 10 Calling Features are included. Allows callers to leave a message if you do not answer or are on the telephone. You have the option of having your voicemails send to your email. Allows you to never have to miss another call while you are on the phone. With Call Waiting, “beep” alerts you to another incoming call. If you don’t answer the first “beep”, you’ll hear another one in ten seconds. Allows you to dial a code to have your phone keep trying a busy number up to 30 minutes. When the called party line is free, you will be alerted with a special ring, and automatically places the call when you pick up your phone. Allows you to block numbers you do not wish to receive calls from. Allows you to create a list of phone numbers that are to be forwarded when they call you. You select and program the calling phone numbers you want forwarded and the destination number to which they are forwarded. When the feature is active, calls from numbers on your list will be forwarded to your “forward-to” number. All other calls will ring your phone. Allows you to ensure the safety of your loved ones in emergency situations. When injury or panic makes it difficult to dial an emergency number, Warm Line makes sure that they – your children, parents, or sick relative – easily reach someone who can help. Just 30 seconds after taking the phone off the hook, a predesignated number is automatically dialed. For regular calls, you just pick up the phone and dial any telephone number within 30 seconds. Terminating Call Manager intercepts telemarketer calls and announces that you do not accept calls from telemarketers. The great thing is, your phone does not even ring! It also instructs telemarketers to add your name to their DO NOT CALL list. Other callers are advised to dial 1. You can add numbers to your Known Caller List or you Blocked Number List. You can transfer all of your calls to another phone so you won’t have to miss important calls when you’re someplace else. You control the forwarding of your calls to any number including your cell phone, any time you choose. Allows you to program numbers that you only wish to receive calls from. Now you can call your most frequently dialed numbers by dialing a one or two digit code. Allows you to control the type of calls that are placed from your phone. Caller ID allows you to view the number of the person who is calling. Caller ID Name & Number allows you to view the name and the number of the person or company trying to reach you. Caller ID requires a telephone with Caller ID display or a separate add-on display unit. Allows you to add a third person to the conversation without operator assistance. Three Way Calling lets you and two other parties all talk together. You can also arrange meetings and activities with two other people without calling back and forth. Allows you to reject callers who have chosen to block their number from being displayed on your Caller ID device. Allows you to program your telephone line to ring with a special ringing pattern whenever you are called from a select list of phone numbers. Your phone will ring with a normal ringing pattern for all other calling numbers. If you also have Call Waiting, you will hear a distinctive Call Waiting tone whenever someone on your list calls while you are on the phone. Now know who the call is for before you answer the phone. With Teen Service, you can have two telephone numbers assigned to the same line with a distinctive ring. 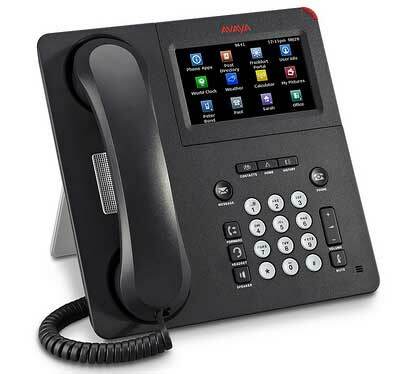 Allows you to host your own conference calls whenever you need without pre-scheduling or operator assistance. Just dial your dedicated conference number and access codes to initiate a call.